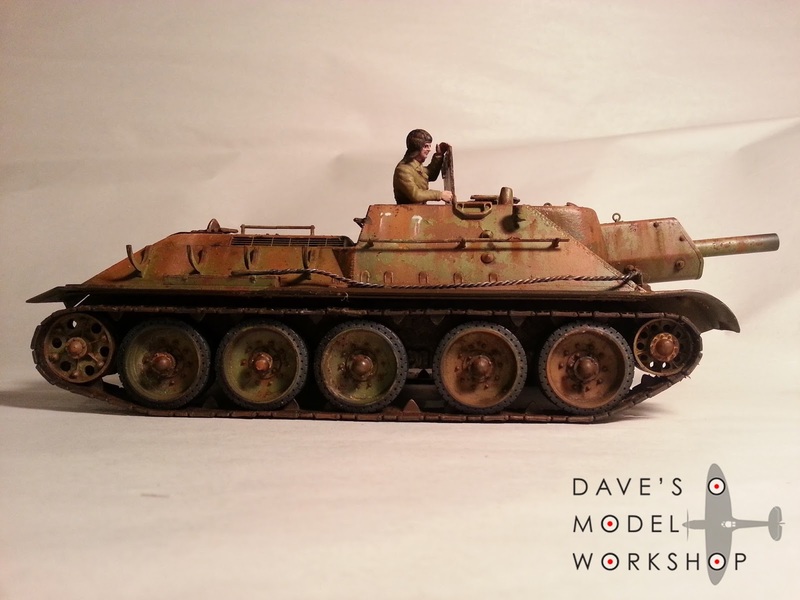 I have just finished the Soviet SU-122 assault gun. (Previous posts about it here and here and here). 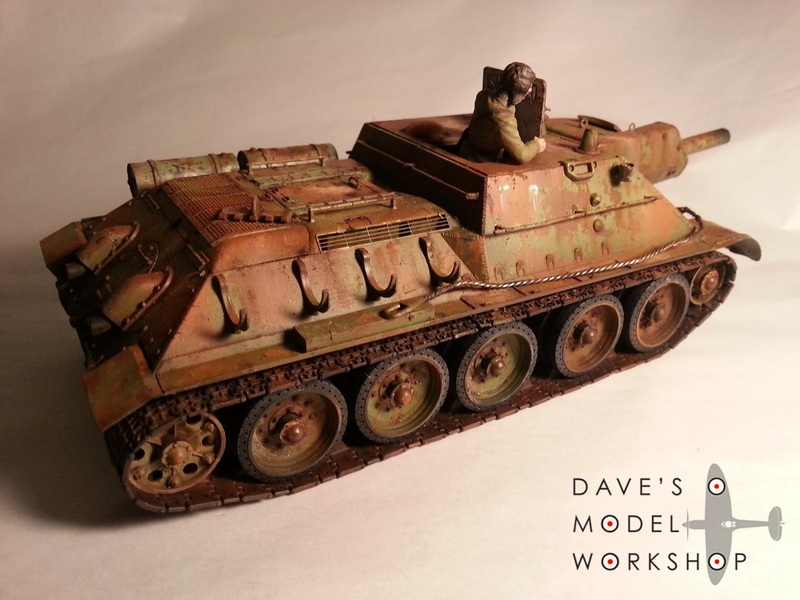 I still need to build a diorama around it, but I am waiting on some Soviet tank crew resin figures to arrive in the mail. Overall, I'm very happy with it. These photos don't do it justice, I will try to get some shots in natural light tomorrow. 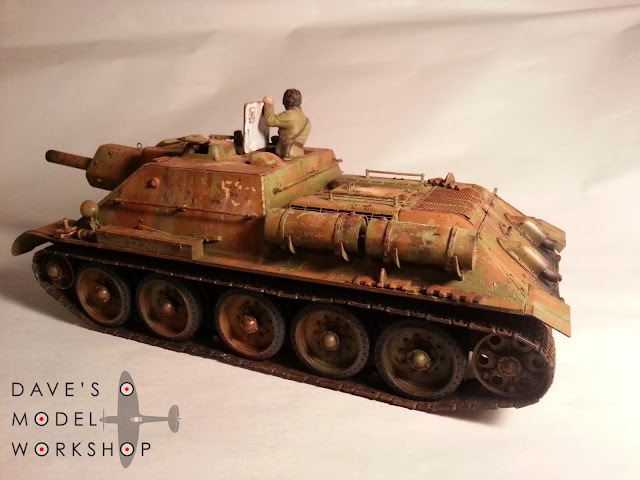 I don't think that 1970s era standard kit tanker figure is going to make the final cut in the diorama! 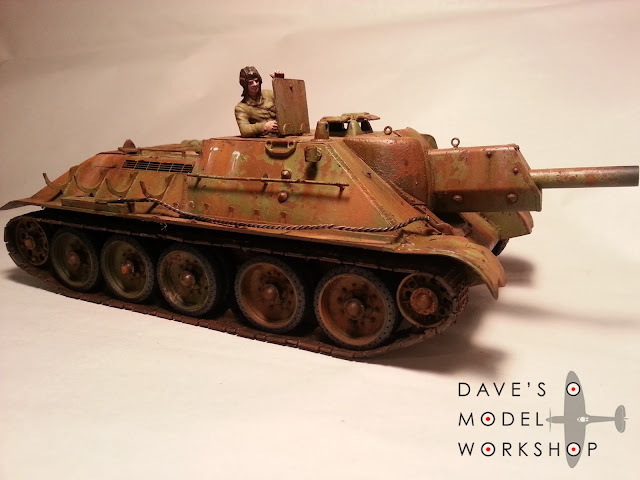 Tamiya SU-122 assault gun in all its glory.